This play is homage to one of the youngest revolutionary, Basanta Biswas. He was the grand son of Digambar Biswas who strongly protested against the torture of Indigo planters. Basanta Biswas was born at Poragacha village in Nadia District on 6th February in 1898. Kshirod Gangopadhyay, the headmaster of Muragacha High School was a member of ‘Jugantar’ - a revolutionary organization. He introduced Basanta to Amarendra Nath Chattopadhyay of Uttarpara who ran ‘Sramajibi Samabaya Samity’ which was nothing but a place of revolutionary activists in Calcutta to carry out the secret works. Basanta joined there. There Basanta met Rashbihari Bose, the famous Indian revolutionary. He chose Basanta and took him to Dehradoon, his working place. In 1912, on 23rd December, a plan was made to kill the Governor General Lord Hardinge, the Second at Chandni Chowk in Delhi. This risky job had been assigned to Basanta. Unfortunately, the attempt went in vain. But this incident shook the existence of British Raj in India. They became mad to arrest the revolutionaries behind it. As a result of it, Basanta Biswas was arrested on 24th February in 1914 for the betrayal of a close relative of Basanta. Basanta was hanged till death in the Ambala Jail of Punjab on 10th May in 1915. Even after his death, his dead body was not handed over to his relatives. Basanta is no more physically, but his eternal soul will remain for ever. It is imperishable – ‘Na Hannyate’. 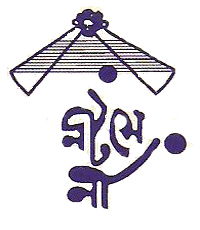 Arpan Das, Tarun Das, Rana Sarkar, Rajib Chakraborty, Dipankar Chakraborty, Debabrata Bhattacharjee, Arijit Biswas, Pulak Sinha, Samir Chakraborty, Tirthankar Ghosh, Tapas Deb, Prabir Bhattarjee, Udayan Chakraborty, Ashok Das, Aloke Adhikary, Ajit Das, Susovan Mukherjee, Mahadeb Bandopadhyay, Debdulal Debnath, Smritiranjan Majhi, Subrata Nandi, Mitul Mondal, TapasDutta Choudhury, Basudeb Mukherjee, Pampa Kundu, Debasmita Das, Priyanka Ghosh, Papiya Dutta, Priyanka Das, Chhanda Chatterjee. MAKE-UP & DRESS : Rabin Bhattacharjee.